Central Jakarta Maritime, Agriculture and Food Security Sub-agency is targeting to create 1,056 through the integrated entrepreneurship development (PKT).
" 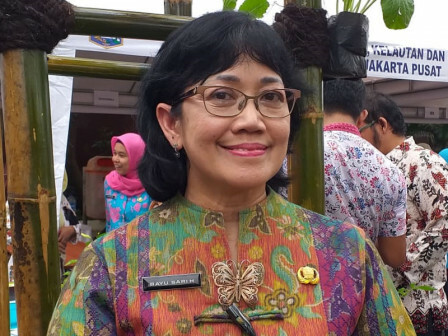 They will get a business permit for small and medium-sized enterprises (IUKM)"
"They will get a business permit for small and medium-sized enterprises (IUKM)," expressed Central Jakarta Maritime, Agriculture, and Food Security Sub-agency Head, Sari Hastuti, Thursday (4/4). In the program, seven trainings are opened in all sub-districts, Central Jakarta. Materials given are starting from fisheries and agricultural products processing, chicken and fish farm cultivation, as well as urban farming. "What has been running today is about fishery processing," she told. Currently his side already has 16 assistants in each sub-district. "We'll continue it until the licensing process so they can sell products more broadly," she stated.